Step 1 Combine the shallots, lemon juice, vinegar, oil and salt in a small, lidded container and shake well to mix. Taste and add more lemon juice if necessary; the mixture should be very bright. Set aside. In Recipes-list.com we have selected the most viewed recipes from category - Grilled Healthy eating Quick and easy Salads . Enjoy the best recipes specially selected for you! 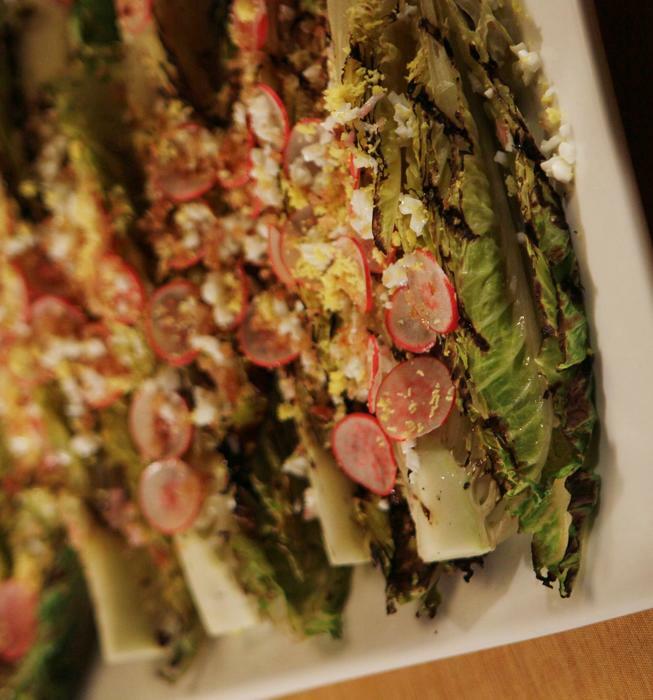 Grilled romaine with radishes, hard-boiled eggs and toasted bread crumbs is the right choice that will satisfy all your claims.